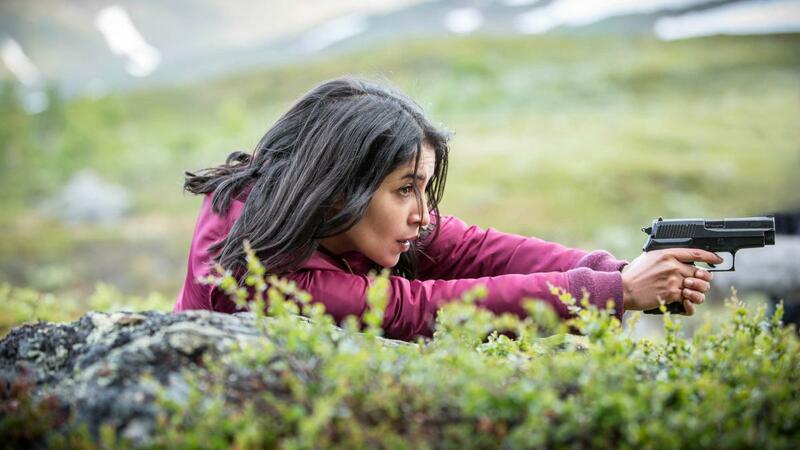 AFTER five months of filming in the Arctic, Midnight Sun, the Leila Bekhti/Gustaf Hammerstein starred thriller has wrapped. Future Vision chats with multi-lingual multi-talented Atlantique Productions creative director and producer Patrick Nebout about the high concept series, and the major challenges facing Europe's robust new wave of drama players. Q. 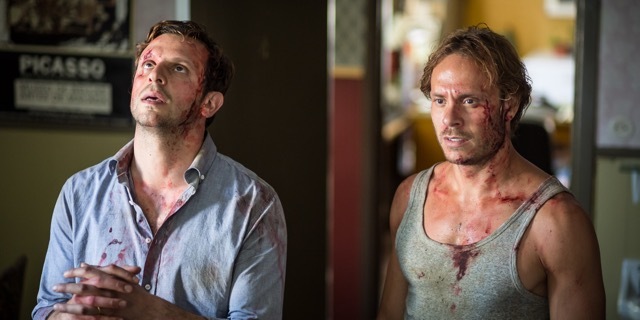 This is the first Swedish/French drama co-production, and it's got some phenomenal partners on board. Canal+, SVT, Nice Drama, Atlantique? A. Yes, and both Bekhti (Tout Ce Qui Brille/The Source) and Hammerstein (The Girl With the Dragon Tatoo/Bruno) are highly sought after star talent on the European drama landscape. As are Midnight Sun's writers and directors Mans Marlind and Bjorn Stein. Q. Marlind and Stein were both creators and directors of the very successful Swedish-Danish co-production The Bridge as well? A. Indeed. We were very lucky to get them. They are not only known for their unique voice on the Scandinavian landscape but they also have solid US experience directing Underworld: Awakening, the second instalment of the Hollywood action-fantasy franchise, as well as Six Souls, the supernatural thriller starring Julianne Moore. Q. The idea and themes behind Midnight Sun are quite specific and yet at the same time, universal. How did it get off the ground? A. It began about four years ago with an idea that I developed together with Nice Drama co-founding partner Henrik Jansson-Schweizer. We pitched it to both Canal+ and Swedish public broadcaster SVT. A. Yes, Baron was at that time the international co-production executive at SVT. He's since moved up to become head of drama and international co-productions for Nice Entertainment Group. A. Absolutely. And then Nice also has several big hits to its name, including The Hundred-Year Old Man Who Climbed Out of the Window And Disappeared, Sweden's biggest blockbuster, and the SVT hit series Thicker Than Water, which travelled quite well and recently aired on French ARTE. Q. Being set in the Arctic brings an aura of mystery to Midnight Sun. It's not a region that is well known really, is it? A. True, and then the compelling characters in Midnight Sun help drive the mystery. Leila Bekhti plays a French cop of Algerian origin who teams up with Hammerstein, a half-Sami, half-Swedish prosecutor. Q. The Sami are part of the indigenous population that lives in the Arctic regions of Sweden, Norway, Finland and Russia, aren't they? A. Yes, and the Sami situation touches on some very relevant issues and one of those is that minority communities across Europe today are feeling threatened. This is a theme underscored in Midnight Sun. Q. So the concern is how these communities can keep their traditional values and culture in the face of an increasingly industrial and high-tech European society? A. Indeed. Another underlying theme bubbling under the surface in the series is the right-wing extremism and racism that is escalating across Europe. Q. Kiruna, the location where Midnight Sun is being filmed, is also undergoing enormous change. A. That's right. Kiruna is a major centre for iron-ore extraction but it is also the home of the Esrange Space Centre and the Institute of Space Physics. So it is the epitome of high-tech and industrial Swedish society versus a Sami tradition that dates back as long as 6,000 years. Q. But, physically, the town is itself under threat as well? A. Yes. The mine is swallowing parts of the land around it so there is currently an immense project to move the city away from the mine. Historical and architectural landmarks are already in the process of being displaced to a new location. Q. So it's a strange time for everyone against a backdrop that is undoubtedly magnificent but also unsettling? A. The setting up there is amazing. You have this majestic outdoors, with huge areas of tundra, forest, rivers and mountains. So it helps create an eeriness and mystery about the area that heightens the suspense of the plot. A. Midnight Sun is multi-lingual, with English, French, Swedish and Sami all spoken in the film? A. Yes, and Sami, by the way, is an official language in Sweden. Q. The series was lensed completely in the Arctic. Tell us about the shoot. A. We started filming mid-May and finished last Friday so we're talking five months on location. We used local talent as much as possible, both in front of and behind the scenes. Sweden's filmmaking history is world-renowned and the Sami talent who took part were fantastic. By the way, despite being up in the frozen North, Kiruna is a very modern city with an excellent infrastructure. Q. International sales are being handled by Studio Canal. When will this be broadcast? A. Definitely 2016, although exactly when is currently in discussion with the various broadcasting partners. Q. You moved over to Atlantique Productions in 2014 with a brief to further develop European co-pros and English-language drama for Atlantique. So Midnight Sun was right up your alley? A. Yes, Atlantique is the division of Lagardere Entertainment specifically focused on English-language productions. By the time I moved over, it had already begun building its slate with Tom Fontana's Borgia, Transporter and Death In Paradise, among others. Q. Well, you have several other projects besides Midnight Sun on the front burner. Isn't Crater Lake one of your babies? A. Indeed. It looks at this point as if Crater Lake will most probably be set up as a series shot in the US but we're currently discussing this with our co-production partner KESHET UK. Django, a series based on the iconic 1966 spaghetti western, is also one of ours. Q. Okay, that's a co-production with Gomorrah producers Cattleya? A. Yes. We have a solid pilot script and are currently looking for the right director and the right main cast. We're aiming for stellar talent on this one as the idea is to re-invent the spaghetti western genre. Q. Why? Is there a demand for spaghetti westerns? A. People have been proclaiming the death of the western since the end of the 1960s, claiming that audiences were not interested any more. And still westerns keep being made, from Sam Peckinpah during the 1970s, Kevin Costner's Dances With Wolves in 1990, Clint Eastwood’s masterpieces, and, today on TV, AMC’s Hell On Wheels, HBO’s Deadwood and History’s Hatfields And McCoys. Q. Okay, but why now, really? A. We love the concept of the original Django, its style and its strong political undertone. And we want to do something completely different from anything else on the market, so we're not talking a US spin-off of any kind. It will be the first ever spaghetti-western TV series. We're also working on Metal Hurlant, a sci-fi series based on the visionary and cult graphic novel of the 1970's. A. Yes. I was lucky to have a decent head start on the language front. My mother is Swedish and Scandi languages have a common base so most people who speak Swedish also understand and speak Norwegian and Danish and, quite often, German. Q. And you had an early start in media? A. Yes. I went straight from film studies to working for CBS News Moscow office in the early 1990's. I did some line producing for Euro Disney in Paris until I moved over to Canal+ Sweden to produce talk shows. In 2002, I became head of international co-productions at SVT, then went to Zodiak in 2005 to lead scripted operations in Russia. In 2010, I set up Nice Drama. Q. So the international environment seems to be your comfort zone? A. It's an environment I thrive in but it's also a reflection of my French/Swedish nationality and background. I find it stimulating to be able to work with talent from the UK, Scandinavia, France and Italy on TV series that are made for and enjoyed by international audiences and whose ideas or storylines go well beyond national and cultural boundaries. Q. The Hundred-Year Old Man Who Climbed Out Of The Window And Disappeared was one of yours. You produced it while at Nice? A. Yes, and then I produced Thicker Than Water for SVT. That series was created by Jansson-Schweizer as well. So I had these under my belt, so to speak, before I moved over to Atlantique. Q. Let's talk about drama. There are a lot of high quality dramas being made but mainly in the area of limited series. Given the business model that has been in place for many decades, it's a bit of a Catch 22, isn't it? A. Well, certainly there is a huge demand for limited series — it's sort of a cool factor right now — but in the business model the industry has used up to now, long-running series are the bread and butter of the industry. So yes, the Catch 22, if you will, is that for many broadcasters there are not enough long-running series being made to keep the bottom line profitable. Q. The current model is evolving but until it does, the industry has a problem? A. I'd say so. High-quality limited series and event series are expensive to make and have a limited shelf life. They are not big money makers — as yet. And then there is a general shortage of really good writers and, especially, those willing to do long-running series. Q. Okay. What's the solution? A. It's a very good question. On the writing side, it's about a generational shift with writers and showrunners. Writers who used to do the shows in the US are getting older and they are not that eager to re-launch themselves into long-running procedurals. Q. So the industry needs to inject coolness into doing long-running episodes? A. It would help. Some broadcasters are getting a bit desperate. I predict that the first producer to find a fresh writer and showrunner eager and able to write episodic series with the coolness of serialised drama would find her- or himself with the Golden Egg, at least in world of drama. Top Left: Atlantique Productions creative director and producer Patrick Nebout. 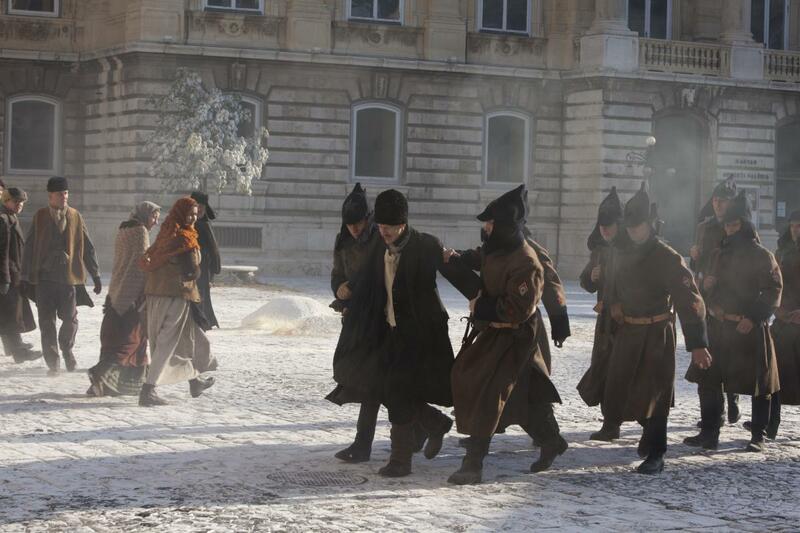 Middle Right: On location, Midnight Sun's Leila Bekhti in action. Copyrght Ulrika Malm Atlantique Productions, SVT, Nice Drama and Canal+. Middle Left: The Hundred-Year Old Man Who Climbed Out Of The Window And Disappeared. Copyright Nice FLX Pictures. Middle Right: Thicker Than Water. Copyright Baldur Bragason/SVT. 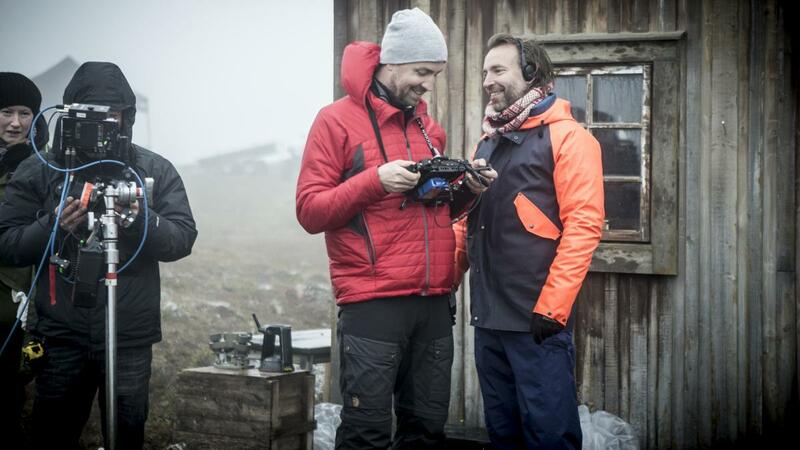 Bottom: Directors Marlind and Stein on location Midnight Sun. Copyrght Ulrika Malm Atlantique Productions, SVT, Nice Drama and Canal+.